Deciding to rent your very first apartment can be exciting and terrifying. Maybe it’s the first place you’ll truly call your own, or perhaps you’ve decided to sell your home and take advantages of the many benefits that renting an apartment in St. Mary’s has to offer. However, experienced renters will doubtlessly tell you that renting an apartment, especially from the wrong landlord, can have a few hidden challenges. The Apartments of Wildewood are here to help you with a few key bits of knowledge to keep in mind when renting your first St. Mary’s apartment. While most people renting their first apartment have a keen eye on the apartment itself, many forget that an apartment doesn’t exist in a vacuum. 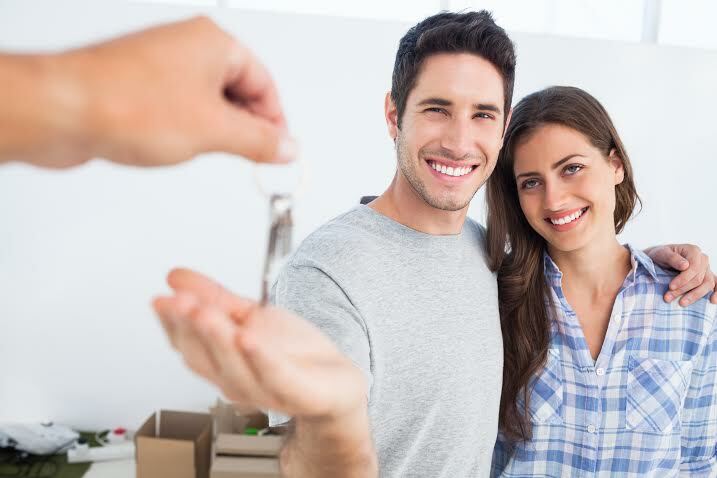 You’re going to have to depend upon your landlord to fix certain problems quickly, so before buying its worth checking out some online reviews or talking to a few current tenants to see if the landlord is someone you can count on to be timely, polite, and understanding if the rent payment is a little late. Be polite and timely with payments and you will have a very valuable friend. While you can’t necessarily choose your first apartment based on your neighbors, you should be respectful of their hours and their property, which will usually prompt them to respect yours. If a problem does arise, don’t leave notes, talk to them face-to-face, be polite, and try to reach a solution together. If this fails, give a call to your new friend the landlord. Landlords don’t want bad tenants giving their building a bad name so they will most likely take care of the problem on your behalf. Spending a few hours around a potential first apartment is a must. If you don’t feel comfortable visiting the area, living there isn’t going to change anything. There are several websites which offer community reviews, ratings, and discussions on different neighborhoods you can rent in. Visit one to get a sense of how other people living there feel, or, if possible, talk to a friend who lives in the area. In the age of scrolling to the bottom of lengthy EULA agreements and blindly clicking “accept” it’s easy for people renting their first apartment to simply sign their lease after a cursory glance. There’s a litany of reasons why reading a lease is vital before signing for your first apartment. For one thing, it can tell you if there’s any terms your landlord failed to mention (and if they’re large omissions, it’s sign that this may not be a reputable apartment building). Knowing your lease terms is also important to any disagreements with your landlord or neighbors you may have in the future. The lease is your law book, and knowing exactly what part of it someone is violating will make it easy to resolve the problem. Finally, reading your first apartment’s lease before signing can let you change it. Believe it or not, a lease isn’t chiseled in stone. If there are terms you don’t like or find unreasonable, chances are, if you explain yourself to your landlord, you can have them changed. Want a Worry-Free Renting Experience for Your First Apartment? If you’re looking to rent your first apartment in St. Mary’s Maryland, then contact The Apartments of Wildewood. At Apartments of Wildewood, we offer homes with access to pools, an on-site gym, and maintenance whenever you need it – just to name a few benefits. To set up an appointment to check out an apartment rental from Apartments at Wildewood, call us at 301.737.0737or visit the website! For more about renting with Wildewood, check out our Facebook, Twitter, Pinterest, or LinkedIn. This entry was posted on Thursday, November 6th, 2014	at 5:37 pm	. Both comments and pings are currently closed.